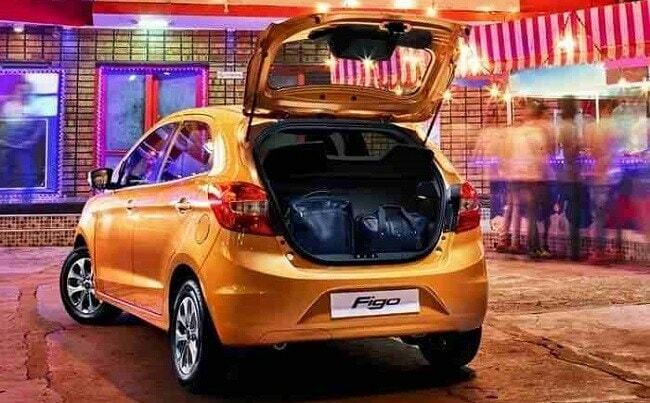 The long wait for the much-awaited new-generation Ford Figo has finally come to an end. The American carmaker Ford today rolled out the car in India at a starting price of ₹ 4.29 lakh (ex-showroom, Delhi). Sharing most of its design elements, features, and engine options with the Aspire, the new-gen Figo definitely looks more upmarket than before. With the first-in-class 6 airbags, dual-clutch automatic transmission, and the most powerful engine lineup, the Figo is also the most feature-loaded car in its league. One must note, the Maruti Suzuki Swift's price starts at ₹ 4.64 lakh (ex-showroom, Delhi), which makes the Ford Figo hatchback cheaper by about ₹ 35,000. Just like the Aspire, the new-gen Figo too features the company's new signature grille with four horizontal slats, sweptback head-lights, underlining body-coloured bumper, etc. In fact, the Figo's side profile also looks similar to that of the Aspire till the rear wheel arch. With that being said, it's the rear profile that helps the two Ford cars look different. The Figo gets a hatch and wrap-around tail-lamps. Since the the new-generation Ford Figo is inspired by its sub-4m sedan sibling, its interior also look identical to that of the Aspire with features such as three-spoke steering wheel with silver accents, steering mounted controls, and a 4.2-inch SYNC multimedia infotainment system among others. However, unlike the Aspire's dual-tone scheme, the Ford Figo gets an all-black cabin instead. 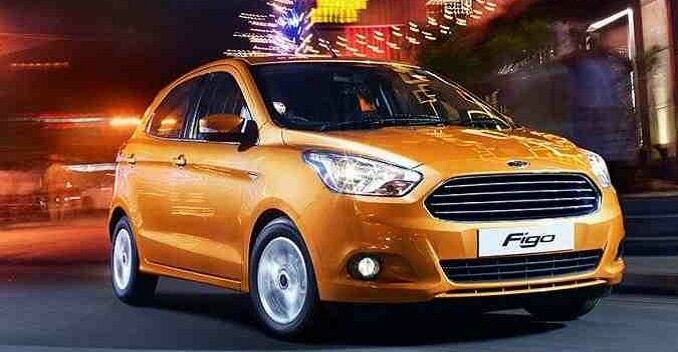 The New Ford Figo also shares its engine and transmission lineup with the Aspire. While the diesel variants feature a 1.5-litre TDCi unit (99bhp) mated to a 5-speed manual gearbox, it gets a choice of 2 petrol engines - a 1.2-litre TiVCT (87bhp) with a 5-speed manual and a 1.5-litre TiVCT (110bhp) with a 6-speed dual-clutch gearbox. Just like its sub-compact sedan sibling, the new Ford Figo too gets 6 airbags, anti-lock braking system (ABS) with electronic brakeforce distribution (EBD), electrically adjustable ORVMs, height adjustable driver seat and other provisions. Colour Options - Ruby Red, Sparkling Gold, Oxford White, Tuxedo Black, Deep Impact Blue, Ignot Silver, and Smoke Grey.